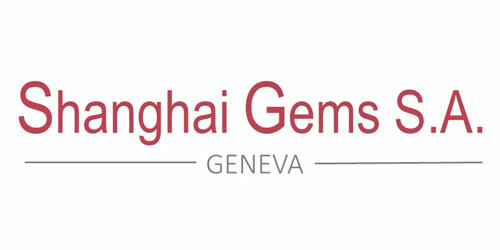 Shanghai Gems S.A. was founded in 1989 by Tedeschi Family with head office based in Geneva. From the beginning, Shanghai Gems has remained as close as possible to the pearls producers thus avoiding intermediaries and remaining highly competitive with prices and service. ​Today, our new Director, Mr Luciano Policicchio, after many years of researches and experience all around the world, keep going to collaborates with some selected pearls growers in Australia, Indonesia, Philippines and French Polynesia. He’s also always searching the best and rare natural sea pearls all around the globe to satisfy an ever greater demand from our customers. Through these collaborations, Shanghai Gems is able to purchase entire productions of cultured pearls and one of a kind beautiful fine pearls. ​We also start proposing a new and exclusive pearl jewellery Brand collection « Evidence – Genève » with precious stones, cultured pearls or natural pearls to our customer jewellers. Through its several representatives markets, (Italy, Spain and Hong Kong) the company maintains a very close relationship with its worldwide customers by fast reacting to any enquiries and proposing a wide range of cultured pearls and natural pearls. Our customers are Manufacturers, Wholesalers, Retailers and Jewellerymakers. ​The company’s philosophy is to improve its competitiveness and to give the best service in the main markets on a daily basis.